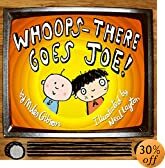 The zany and intriguingly titled ‘Whoops ‘ there goes Joe!’ forms the sequel to Miles Gibson and Neal Layton’s first collaboration about the Bodkin family; ‘Little Archie’. These are fantastic, affordable-with-pocket-money, perfectly shaped and sized little books ideal for little hands that belong to big readers! So begins an inter-channel chase made ‘remote ‘ (!) from the reader by its metafictional qualities as first Joe and then Archie are assimilated into the consuming drama of television. 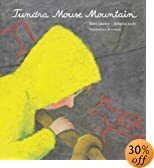 At base, a ripping yarn, this book is also a gentle reminder of the importance of spending quality time with children and a caution against being lured into using the television as constant occupation ‘ one never quite knows just what it is that children might be being sucked into! It is impossible not to be captivated by the level of attention and detail that has gone into the production of these little books. The pairing of Miles Gibson and Neal Layton is pure gold. Small in stature it might be, but this book, along with its prequel will make a great addition to any child’s bookshelves.